Marion Phelps was the daughter of William W. and Maude (McDougall) Phelps of South Stukely. Miss Phelps attended the Blake School, the Stukely Village School and Waterloo High School before graduating from the School for Teachers, Macdonald College. She went on to teach at Ste. Agathe, and Waterloo High School before going on to Heroes’ Memorial High School in Cowansville. An outstanding teacher, she was awarded the Order of Scholastic Merit by the Department of Education in 1960. Always interested in history, Miss Phelps was a leader in organizing and giving classes in local history and genealogy for the Missisquoi Community School during the 1950s. From those classes, a renewed interest in the Missisquoi County Historical Society was kindled. Although still teaching, she spent many hours organizing the books and documents that helped to get Missisquoi Historical Society back on its feet. In 1959, Miss Phelps was appointed Curator of the Brome County Historical Society. From that time on, her interest and contribution has been outstanding. She has contributed articles to the Dictionary of Canadian Biography, written articles for newspapers and magazines, and books such as the Loyalists of the Eastern Townships. She was the editor and wrote numerous articles for the Yesterdays of Brome County series, published by the BCHS, and assisted countless researchers. In her life, she was considered “the” authority on Brome County history. 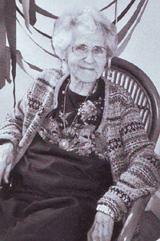 In 1981, Miss Phelps was awarded the Heritage Canada Award. In 1992 she was the recipient of a Commemorative Medal for the 125th Anniversary of Canadian Confederation. Marion Phelps was the first recipient of the volunteer service award (the "Marion Phelps Award") created by QAHN in 2001 and named in her honour. She died in 2013, at the age of 104.